Ballot boxes for upcoming election in Indonesia. Parliamentary and presidential elections to be held simultaneously on April 17. The audits were focused on, among others, technology, information security, as well as data and information system, Pratama Persadha told Antara here on Friday. His statement is a response to a question on the commission's cyber security. "It is necessary to conduct the audits. Who will audit? It can be carried out by the National Cyber and Encryption Agency (BSSN)," Persadha, former head of the Encryption Agency's team for security the KPU's IT security of the 2014 General Elections, said. In response to a rumor that the KPU had an overseas server, Pershada, who is also chairman of the Communication and Information System Security Research Center (CISSReC), defended the KPU's rejection over the allegation. The KPU itself has lambasted the allegations, stating "there is no KPU server overseas." "All computer servers are in the country. 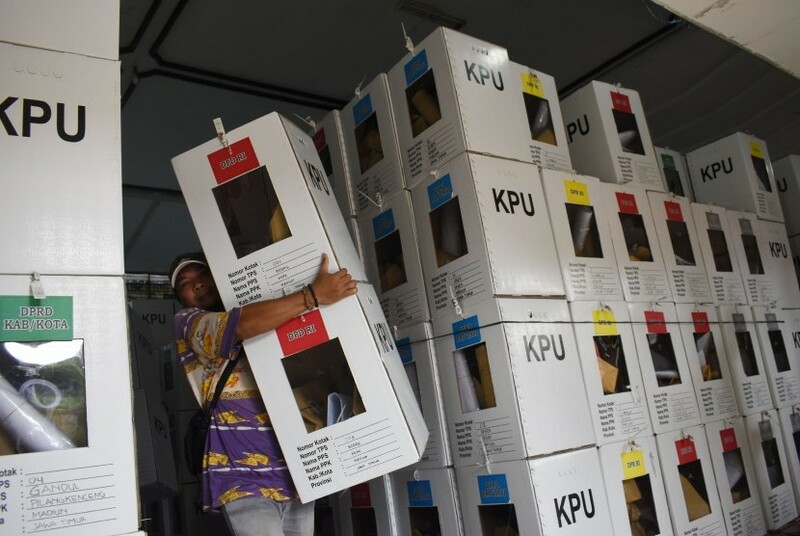 Hence, the accusation that the KPU will count votes through the IT system is untrue," Hasyim Asy'ari, a KPU commissioner, remarked in his recent text message received by Antara. A manual counting will be done at the respective polling stations and the outcomes maintained in C1 Forms that will then be collected and counted at the sub-district-, district, and provincial-level as well as ultimately on a nationwide scale. "Hence, essentially, the public, witnesses, polling station supervisors, local residents, and observers are already kept in the loop about the outcomes of the ballot counting process. All are permitted to document the outcomes in C1-Plano forms," he explained. "The KPU is aggrieved by the baseless accusations in the video and will report it to the National Police Crime Investigation Department (Bareskrim)," he stated in response to a viral video alleging the commission of tampering with the ballot counting outcomes through IT. On April 17, around 192 million eligible voters across Indonesia will flock to polling booths to cast their votes for their representatives at the House of Representatives (DPR), Regional Representatives Council (DPD), as well as provincial and district/city legislative bodies. They will also vote for their preferred pair of presidential and vice presidential candidates.